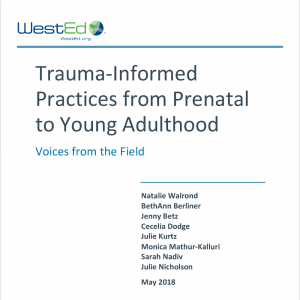 As a member of WestEd’s Center for Prevention & Early Intervention, Cecelia Dodge supports strategic growth and development; contributes to management; and designs, develops, and implements projects. A typical project for Dodge is helping state and local education agencies apply quantitative and qualitative research and evaluation of progress and system impact across areas related to education systems. Dodge began her public education career as a special education teacher. She later oversaw special education funding and data for the Minnesota Department of Education, where she initiated a process to monitor and approve education programs in care and treatment facilities. As Director of Special Education in Minnesota schools, she reduced disproportionate suspension of students of color and spearheaded implementation of Positive Behavioral Interventions and Supports. Dodge also served as Assistant Superintendent for Special Education in San Francisco Unified School District leading key initiatives, such as including more students with disabilities in regular classrooms. She has been recognized for her work to improve education for young children with disabilities and children and youth who are placed for care and treatment. Dodge chaired the Council of Chief State School Officers’ Education Information Advisory Committee and has presented to national organizations and testified before the Minnesota State Legislature. Her published legislative studies include a report on services for people with disabilities and one on K-12 school transportation. Dodge received an Education Specialist degree in education policy and administration from St. Cloud State University, a BA in special education from Northeastern Illinois University, Chicago, and an MA from the University of Minnesota.